WoodStock is a branch of Ernstmann Tree Care. All pieces are created using Kansas-grown trees that have been carefully removed by the company. All pieces are suitable for either indoor or outdoor use. Most pieces feature live edge, beautiful grain, and each is uniquely hand-crafted. If you want to purchase an item, please contact Brian Ernstmann. If you do not see something you love, please contact us for custom orders. 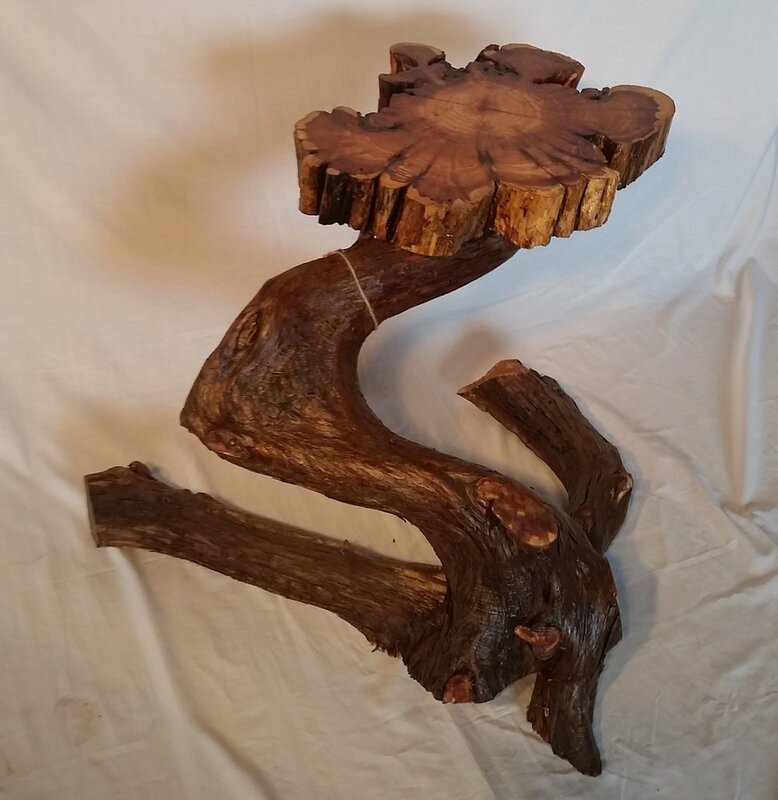 This unique decorative hinge coffee table is made from juniper and has hairpin legs. This end table top is made from a bald cypress slab and the base is cedar. This bench is made from a walnut tree that was removed from the College Hill neighborhood.